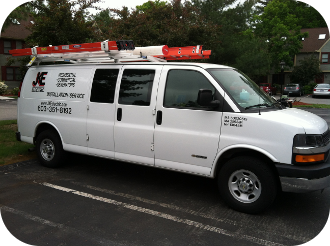 JKE Electric prides itself on completing your jobs in a neat and orderly fashion while integrating knowledgeable and friendly service at all times. At the conclusion of a job the hope is that our customers feel that we exceeded expectations at a competitive price. JKE Electric will examine an array of possibilities to accomplish your job in order to provide unsurpassed services to our customers. We welcome you to browse our website and encourage you to contact us with any questions. Thank you for giving us an opportunity to provide the right service.